Estate planning is crucial for everyone, regardless of the extent of your assets and liabilities. By working with a lawyer in Tracy at Bakerink, McCusker & Belden, you can protect your estate for your heirs . If you die intestate, or without a valid will, your assets will be divided according to state laws, regardless of what your wishes may have been. If the court cannot determine who the proper heirs may be, the state can simply seize your assets, leaving your preferred beneficiaries with nothing. You can hear more about the importance of estate planning by watching this video. This financial advisor discusses the benefits of working with an estate planning lawyer from a tax standpoint and explains some of the financial documents you should have in order. Many individuals delay estate planning in Tracy because it involves end-of-life issues. However, regardless of your age or health, it’s always in your family’s best interests to consult an estate planning lawyer sooner, rather than later. Unexpected tragedies occur all too often; by dealing with these matters promptly, you can ensure that your family’s financial future is protected in the event of your passing. When you meet with an attorney to address matters such as your last will and testament, you’ll need to consider the following factors. After scheduling a meeting with an estate planning lawyer, it’s time to gather together important financial documents. Review all of your financial information to determine the total value of your assets, and your current and anticipated cash flow. Compare your cash flow and assets to your total liabilities to determine your net worth. Consider other factors that may affect your finances in the future, such as the rising cost of living, your retirement or your spouse’s retirement, and unexpected, yet significant expenses, such as those related to a major illness. By understanding your particular financial situation, your estate planning lawyer can help you develop a sound financial plan for the future and for your heirs. When you create a will with the help of your estate planning attorney, you’ll designate beneficiaries for your assets . You’ll also designate beneficiaries for your life insurance policy, retirement accounts, and similar accounts. It’s entirely your decision as to how to divide your estate among your family members, friends, or charitable organizations. However, when designating beneficiaries, you should consider their future needs and their spending habits. Many individuals earmark funds in a trust to cover specific expenditures, such as college tuition or special needs expenses. Estate and income taxes can take a significant portion of the assets you allot to your beneficiaries. Your estate planning lawyer can help you develop efficient strategies to minimize tax obligations. You might also consider purchasing a life insurance policy that will cover the estate tax your heirs will owe. Trusts are often formed during estate planning . A trustee is designated to handle the assets within the trust. Trustees have a responsibility to protect the interests of the beneficiaries, safeguard the assets held within the trust, and administer the trust in a way that is consistent with the decedent’s final wishes. Trust administration is a highly complex process that must be performed in accordance with estate planning laws. It is highly recommended that designated trustees seek the counsel of a lawyer in Tracy at Bakerink, McCusker & Belden who can help them fulfill their duties. A lawyer can help you identify the financial documents and other information you need to compile in the wake of the death. You’ll also need to stay in close contact with the executor of the individual’s estate because the executor may transfer non-trust assets to the trust. Your lawyer can help you locate the will and file it with your local probate court, make the necessary notifications of the death, and notify the beneficiaries. Then, you’ll need to complete an array of other tasks associated with trust administration, such as reviewing trust investments and paying off debts. Estate planning is a wise decision for all adults, no matter their age. Estate planning in California or elsewhere in the country involves designating your assets to beneficiaries, to be paid upon your passing. A lawyer in Tracy can help you with the estate planning process and answer any questions you may have. It’s a common misconception that an individual should only consult a lawyer about his or her estate if significant wealth is involved or if a serious medical diagnosis has recently been made. In fact, all adults should work with a lawyer to address these matters before there is an urgent need to do so. 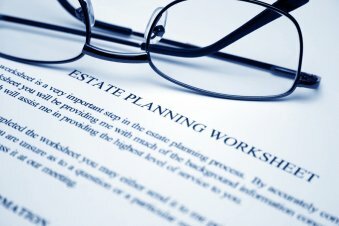 There are many facets to estate planning. 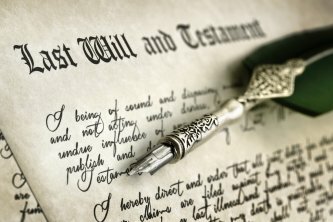 Your attorney can draw up a last will and testament to specify which beneficiary should receive which of your assets. You can specify beneficiaries for any assets you have—ranging from life insurance benefits to retirement accounts to jewelry. Estate planning also involves designating who will handle matters after your death , such as paying your final debts and distributing the assets. With estate planning, you can make your final wishes known with regard to burial options. Additionally, your lawyer can walk you through the process of deciding who will care for minor children. Under California law, should you pass before all of your children have reached the age of 18, they are legally unable to care for themselves and manage their own property. You’ll need to appoint a guardian to do so. Your lawyer may recommend establishing a trust for minor children. The executor of your will is an individual who is responsible for ensuring that your wishes are carried out and your assets distributed according to the will. Your executor should be organized, efficient, and capable of handling these matters. Many people designate their spouse to serve as executor. 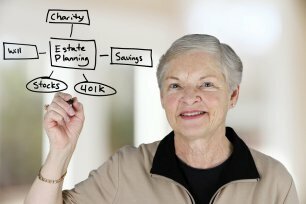 Estate planning also involves creating a living will, or an advance directive. This is a legal document that specifies your wishes with regard to healthcare decisions in the event that you become incapacitated. For example, you may specify whether you wish resuscitation efforts to be made. With help from your attorney, you’ll designate a healthcare proxy to execute your living will.